Everyone has different goals for their life. Similarly, people have different ideas of what kind of legacy they want to leave behind as they move into retirement and beyond. There is no right or wrong answer about what kind of legacy one should work toward. Personal beliefs, family needs, and other factors can all have important roles in determining legacy. However, although legacies may differ, there is a common need among people to leave behind some sort of legacy. So, what types of legacies are most common and how can one work toward them? Here is how to leave behind a legacy. Leaving behind an inheritance has always been a goal for many people as they approach their later years. However, the concept of a living inheritance is becoming more popular these days. Simply put, a living inheritance is when a person provides financial support to their family while they are still alive. In many ways, this type of inheritance can be more rewarding. 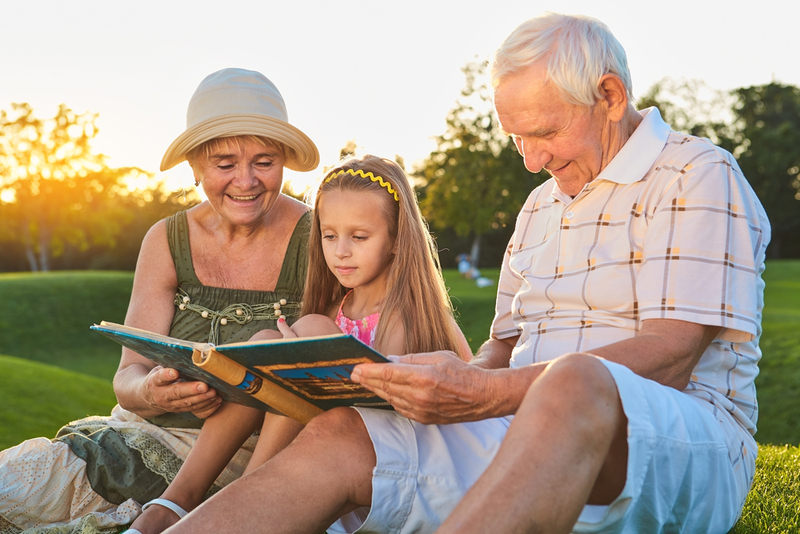 People can help their grandchildren with college planning or help their children buy a home and watch the happiness and success that assistance can bring. In some cases, a living inheritance can help reduce tax burdens for those receiving the inheritance as it is often seen as a gift rather than a typical inheritance. One of the main things to consider when planning a living inheritance is managing living expenses as well as gifts. People drawing on savings or retirement accounts have to plan their finances to ensure that their living inheritance doesn’t cause financial strain in their own lives. An estimated 90% of businesses in America are family-owned businesses. It stands to reason that passing on the family business is probably an important goal for people, some of whom have worked on their business for decades. However, passing along a business is not as simple as handing over the keys to the store. There are tax implications to consider. Plus, does the person taking over the business have the will or know-how to run the business? This emphasizes the importance of succession planning. Creating a succession plan well before the keys are to be handed over is essential in ensuring a smooth transition. Running a business is never easy but there are ways to minimize stress and confusion when the family business is passed along. Many people want to leave behind an inheritance for their family. This could include money, real estate, or other possessions including vehicles. Some football fans even leave behind their coveted season tickets. The unfortunate truth is that a number of Americans pass away with debt that must be settled by the estate before inheritances can be distributed. After payment of debts and payment of taxes, the inheritance left may be much less than intended. Professional estate planning is important for those that want to leave behind a financial legacy. Having a clear picture and plan is essential to leaving behind a legacy that isn’t reduced by surprise debt obligations. It’s not uncommon to increase charitable giving later in life. That legacy can be very rewarding in life and last for years in the hearts and minds of many. Balancing charitable giving with needs and expenses is important much like in a living inheritance scenario. Planning withdrawing from savings accounts is essential to ensure that charitable giving does not ruin one’s ability to enjoy retirement to its fullest. Of course, giving time through volunteerism is one of the best ways to leave a legacy without having to give away money if the funds are not available. Finding a passion and following that can be more exciting and fulfilling than simply handing over money. All of the items and possessions that one has may have special relevance to certain people. Leaving behind a specific gift to the right person or organization can leave a powerful lasting legacy. For some, this may be a classic car. For others, this could be a piece of property or a luxury item like a boat. For people who have a specific legacy in mind, they need to make an effort to ensure that their wishes are carried out through a will and proper estate planning. People with collectible items or items with historical value may wish to ensure that those items are provided to museums or historical societies that will help educate future generations. Again, planning for this kind of donation is important to ensure that prized items get to where they belong rather than end up at a garage sale. Whether you want to provide a living inheritance, give away time and money to charity, or create plans for specific items. It’s never too early to begin planning for the legacy you hope to leave behind. Mooney Lyons specializes in a number of areas that relate to leaving behind a legacy. From college planning for a living inheritance to succession planning for business to estate planning; you can count on the experts that will work to help you leave behind the legacy you imagine – no matter what that may be. At Mooney Lyons, we will work closely with you throughout your life to help you reach your goals. Our services don’t just end with retirement planning or investment withdrawal strategies. We can assess all aspects of your life to ensure you address what’s most important to you and your family. Contact us today and get our expert team working for you, your family, and your legacy.